Despite this age-old advice, one area where we, both in the United States and abroad, do not take this sentiment to heart is in the world of style. As per a 2015 report released by the World Trade Organization [p. 118], the U.S. is one of the world’s top three importers of clothing, along with the collective European Union and China. Trade is not necessarily a bad thing. The rise of e-commerce has reduced trade costs and increased cross-border trade, and according to the aforementioned report by the WTO, business-to-consumer e-commerce was valued at more than 1 trillion USD and growing as of 2013. However, this rise of e-commerce goes hand-in-hand with something that continues to have a huge impact on the fashion industry: fast fashion. Fast fashion refers generally to the phenomena of designs moving from catwalk to storefront very quickly. However, the term was spawned mostly to describe retail giants like Zara, Uniqlo and H&M, stores that often monitor the popularity of high fashion and luxury brands’ posts on Instagram that feature new collections and ad campaigns, and quickly make inexpensive versions of uber-liked trends. In the case of Zara, who many credit with perfecting the business model of fast fashion, this means new products as frequently as twice each week. Not wanting disappoint their own clientele, luxury brands are increasingly doing their part to get real deal pieces into the hands of buyers, with e-stores like Moda Operandi allowing customers to pre-order looks immediately after they come off the runway. While this sounds anywhere from good to banal on the surface, fast fashion and its affect on high fashion adds up to the full spectrum of brands pumping out trends like they are going out of style–and that’s because they are. Immediacy may feel great for the consumer, but it is resulting in changes in the fashion world and beyond at whiplash speed. For one thing, instant gratification has resulted in the the traditional two seasons of luxury fashion (Spring/Summer and Fall/Winter) fracturing into countless micro-seasons, in the interest of keeping high end buyers from becoming bored. We now have pre-Spring, pre-Fall, resort collections and more, but even this can’t prevent these brands’ elite clientele from feeling a wave of ennui upon seeing a garment. “Ken Downing, the fashion director of Neiman Marcus, said recently that he was showing a client a hot-off-the-delivery-van $11,000 embroidered jacket, only to have her wrinkle her nose and say, ‘But don’t you have anything new? '” wrote an article from The New York Times in 2016. The loom of fast fashion has luxury fashion falling over itself to debut new clothes before they can be replicated, but the harm of this doesn’t end at their customers feeling that even the brands themselves are behind the times. In the current immediacy market, it is often overlooked that fashion, especially high-end fashion, is supposed to be an art. Designers whose names we all know got to be renowned because they had an artistic vision that they turned into a line of garments, with themes and even story lines not unlike those found in paintings or films. Although most people wouldn’t tell da Vinci to “hurry up with that Mona Lisa,” even the most established and respected brands are being forced to cut creative development time. Some designers have found their way forward in the same way as many other marketing channels: creating experiences. Rather than the tired method of watching garments pass by on the runway, many brands are opting to let fashion-show-frequenters interact with their collections, from Diane Von Furstenberg’s house of revolving “instagarammable” motifs , Stella McCartney’s Nolita garden party and immersive athletic show, or Karl Lagerfeld’s supermarket and airport sets for Chanel– although, Lagerfeld’s still required audience members to take their seats. Italy, mirroring its reactionary concept of “slow food” when fast food chains threatened to dismantle a history of culinary meticulousness, is a front runner in resisting the demands of fast fashion, but without support from buyers and other leaders in the industry, they risk being abandoned in a race to buy what’s new. Retailers with a business model centered on fast fashion do more than hurt the artistic integrity of high fashion, they have a global effect that reaches beyond fashion capitals. Low prices not only come as a result of what we already know to be low wages and poor working conditions in far away countries, low prices also help to hamper growing economies worldwide. In a 2005 Oxfam report, secondhand clothing made up half of the volume of clothing imports in sub-Saharan Africa, where shoppers often perceive clothes from outside the continent as higher quality. Since then, several East African countries have called for a ban on second-hand imports, believing that this practice is the main cause of injury to local textile and clothing production. However, this ban did not include restricting new clothing imports, namely from Asia, that are still less expensive than locally manufactured clothes. But what about donating all this flash-in-a-pan clothing? Unfortunately, this process isn’t as good as it seems either. Not only does an influx of donated clothing help to push out local manufacturers in foreign countries, even the clothing donated in the interest of one’s own country rarely goes through a predictable process. Of clothes donated to both trendy thrift shops and charities, only 10 to 20 percent is sold, simply because the supply is much greater than the demand [similar to what often happens after disaster situations]. 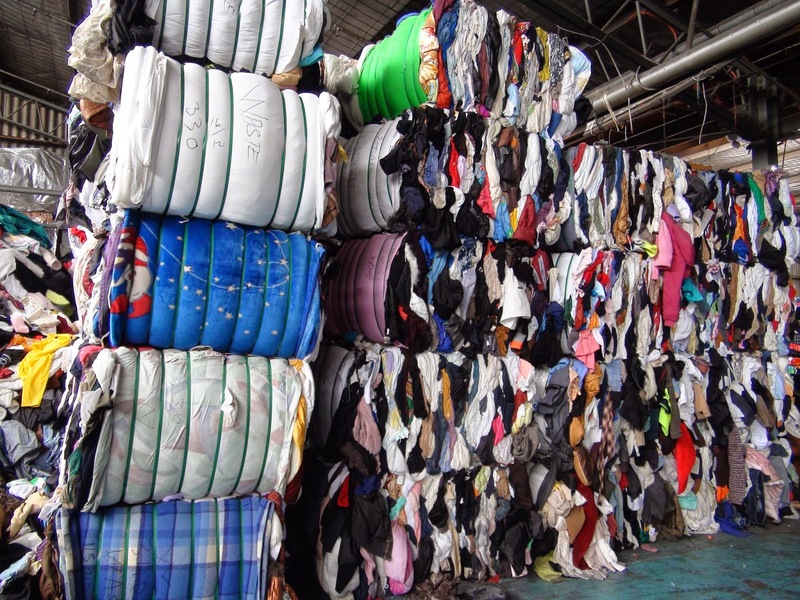 To give you an idea, a 2013 Environmental Protection Agency report cited 15.13 million tons of textiles were discarded. Of those, very few can be recycled into new garments (as treated organic fabrics as well as inorganic fabrics do not recycle well and are more likely to tear), and those that do manage to get turned into rags will almost always find their way to a landfill in the end. Patience when it comes to fashion is not just a way to achieve some sort of moral superiority. If the current pattern of inundation and overproduction continues, the industry cannot possibly avoid running creatively dry.We end up spending more money on clothes we don’t even particularly like, just to stay on top of things, only to throw them out when we’ve realized we’re tired of them. That which is cheap is not only expensive because more money is spent to rapidly replace it, but also expensive for the environment, expensive for people who must lower their standards in order to find work, and expensive in the corrosive tole it will take on the art, the core appeal, of design itself. It may be necessary to accept that the customer is not always right, but the customer is, as a result of a combination of technological advancements and tripping appeasement from the fashion world, spoiled. With that in mind, the only certain solution on the part of a responsible consumer is to purchase high-quality, cherished items that we then invest small amounts time and money (relative to the grand scheme) into taking care of. Truly having style is not the practice of buying whatever is trendy (if this were true, we would have no “iconic” wardrobes like those of Coco Chanel or Iris Apfel), but the art of developing a look that is your own, and that you genuinely like! In the interest of this idea, I will be putting out a series of posts dedicated to single pieces in my wardrobe that I love, and wear over and over again in different ways. I hope to prove my own point.